I love cleaning! I know, I’m one of those crazy people who actually enjoys cleaning. Thankfully with three children and a husband who never takes his shoes off at the door, I get ample opportunity to do it. It’s not just cleaning I enjoy though. I like to look at things and see how it can be improved. I’m almost ashamed to say that when I worked in home health I would sit there dreaming what I could do with these people’s homes if they were mine. Everything can be changed, improved, altered, or bettered. Keeping to today’s topic, I’ll share with you how I did all those things with my cleaning regime. I use to stick with heavy-duty cleaners because I thought it was the only thing that would really clean my home. In fact anything with the words Ultra, Mega, or Super was a magnet for me. When someone (a bazillion years ago – well before my homesteading movement) said that vinegar was the best cleaner ever, I figured they were some health nut that didn’t understand real clean. One day, before a big family get-together, I realized I was out of Windex (yes, I clean windows for family). Not having time to go to the store, I googled “vinegar window cleaner.” It was a basic vinegar, rubbing alcohol and water recipe and the thing worked like gold! Throw in some crumpled newspaper to scrub with and you’ll forget you’ve even got company on their way. My husband could hear my exclamations of joy from every room in the house. “Honey! Come see this! That weird foggy thing came off the window! 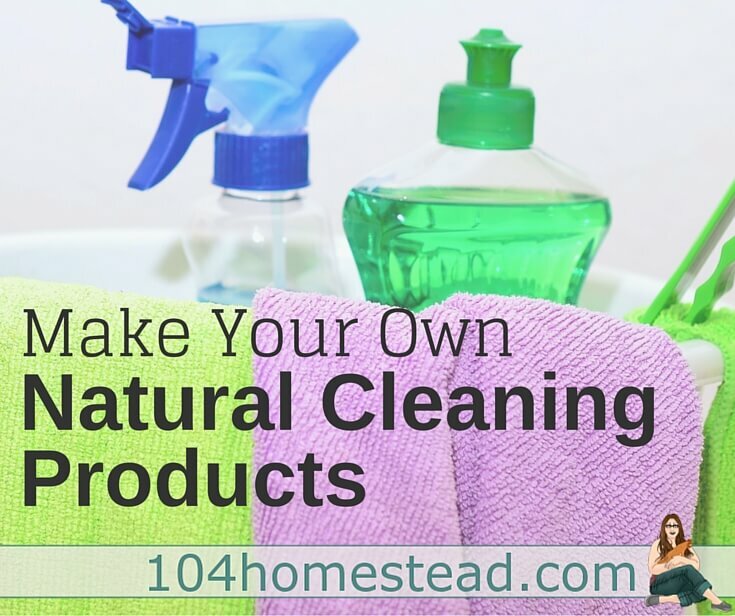 Seriously, come here and see this!” That changed my perspective on DIY natural cleaning products forever. No harmful chemicals for me and my crew anymore. So, are you ready for my secret DIY natural cleaning products? I would only show them to a select few and you are lucky to be one of them. Just kidding, but I do pride myself in the recipes I use. They can be found all over the internet, but being the obsessive person I am, I had to do blind testing on them all to figure out which worked the best. These are my winning recipes that have been used for over several years now. A note about Dawn Dish Detergent: The jury is still out about how healthy and natural Dawn is. I use it in my recipes because it is certainly safer than commercial cleaning products and it’s a frugal solution. If you are uncomfortable with Dawn, you can exchange it in equal amounts with Castile Soap. Keep in a spray bottle. Shake before each use as the olive oil will float to the surface. If you prefer a less waxy finish, you may switch out the olive oil for coconut oil, but you may need to use warm water or warm the bottle before use. Citric acid is a preservative that can be found in the canning department of your local store or online. Mix your dishwasher detergent in a plastic tub or tupperware. Use 2 tablespoons per load (1 tablespoon for light cleaning or for those of you that rinse dishes before loading). To boost your cleaning power and add a fresh scent to your home, add a few strips of orange peel to your cleaner. Keep your all purpose cleaner in a spray bottle and use the same as you would any traditional cleaner. Store your homemade soft scrub in a squirt bottle. I like to use an upcycled ketchup bottle. Shake well before using. For stubborn markings (such as a ring around the tub), rub the soft scrub on and wait for 30 minutes before scrubbing and rinsing. For heavy duty jobs, like the oven and stove top, check out Naturally Clean Your Oven & Stove Top. With windows, your results are based on two things. What you clean the windows with and how you clean the windows. This recipe will get you off on the right foot. Store your glass cleaner in a spray bottle. Swirl a bit before using. Old newspapers are a great alternative to using paper towels or rags and will enhance the cleaning properties. With this eco-friendly recipe, you can compost newspapers after use. I am still working on a laundry detergent. 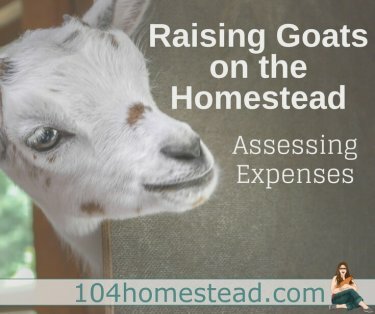 I have one, but it takes quite a few steps to prepare and it isn’t cloth diaper friendly. I’ll keep plugging away at it and report back when I’ve come up with an acceptable detergent that is suitable for all laundry. Do you have any cleaning recipes that you’re in love with? I’d be thrilled if you’d share them with me and the other readers in the comments below. I have recipes to make my own cleaning products and use to do it, but haven’t in years. I think it’s time I got back to basics! 🙂 Thanks for sharing with SYC. Pinning. 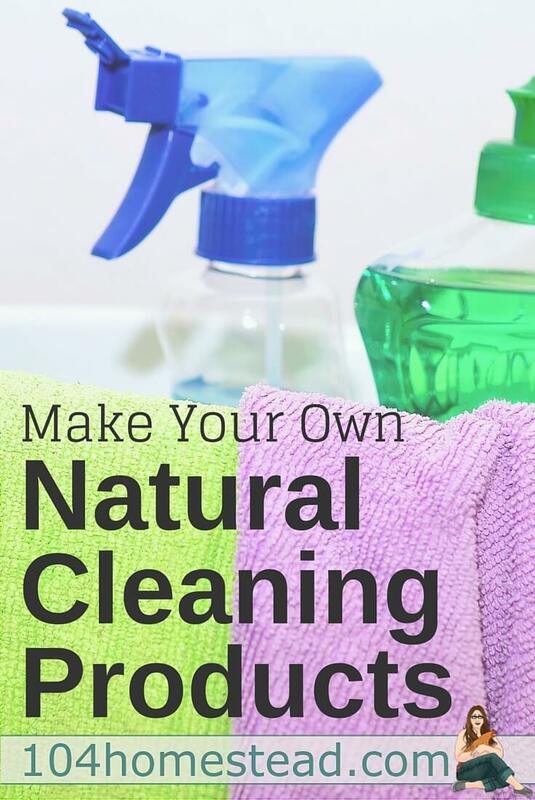 It’s really awesome how you came up with those natural cleaning methods. I will definitely try those cleaning receipts, and will share the results with you. Thanks for sharing!! You had me with, ” I would only show them to a select few and you are lucky to be one of them.” I was hoping for that exclusivity. You’re right these are amazing recipes. It just shows you what a crock of bull we’ve bought by listening to the ads from those companies that make cleaning products. Not only did we “buy” their bull, we invited them to bring toxic products into our homes. I haven’t used the Soft Scrub recipe before. Could you substitute something for club soda? Or is there an ingredient in club soda that is important? We can’t get club soda here in BC very easily. The one here is syrupy and high fructose corn syrup. Glad you enjoyed the exclusivity 🙂 You can switch out the club soda for straight water if that’s easier. The club soda really only makes a difference when the mix is fresh. The bubbles help lift off goop.